One day you decide to lead a data-driven life and naturally data collection seeps into the realm of health. Maybe you buy a Zeo to better understand your sleep patterns. Or maybe you decide to start tracking your blood pressure with one of the various new connected tools. Heck, maybe you’re just tracking your daily pain symptoms using plain old paper and pencil. Whatever it is you’re tracking, most likely you have the urge, the need, to take it to your physician or medical provider. That data represents you, the whole you, not just the you that sits on that sterile paper that’s rolled onto the examination bed in the cramped room with the poor lighting and six-month old issue of Time magazine. Last week we discussed how you could present that information, your health data, to your doctor. The wonderful Katie McCurdy helped us understand the power of simple visualizations for her ongoing care and her own personal health knowledge. The patient perspective is incredibly important, as they say, “everyone is a patient at some point.” But, not everyone sits on the other end of the table, not everyone is a doctor. So what do physicians think about patient data? What do they see happening in their practices? Today, we’re lucky to have two wonderful physicians join us to offer their insights into those questions and more. 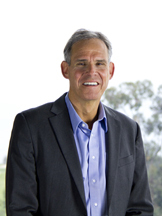 Dr. Eric Topol is an innovator and pioneer in the fields of wireless medicine and genomics. He is the Director of the Scripps Translational Science Institute, a National Institute of Health funded program of the Clinical and Translational Science Award Consortium. He is also Professor of Genomics at The Scripps Research Institute; Chief Academic Officer and holder of the Gary and Mary West Chair of Innovative Medicine at Scripps Health; and, a Senior Consultant cardiologist practitioner at Scripps Clinic. He is also the author of the recently released book, Creative Destruction of Medicine. 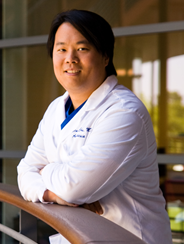 Dr. Larry Chu is a practicing anesthesiologist and an Assistant Professor of Anesthesia at Stanford Medical School. He also directs two separate research labs at Stanford – the Opioid Physiology Lab and the Anesthesia Informatics Lab. In his spare time (the man doesn’t sleep!) he directs the efforts for the upcoming MedicineX conference: a showcase of academic research, new technology, and patient stories designed to help guide the future of healthcare. I highly recommend watching their newly released e-patient videos that highlight two QS community members – Sean Ahrens and Hugo Campos. Both Dr. Topol and Dr. Chu were kind enough to lend some of their time to answer a few of our questions. I hope you enjoy their thoughtful answers as much as I did. QS: We keep hearing horror stories about doctors reacting negatively to patients who bring in their own health data. Why do you think that is? Dr. Eric Topol: It reflects “old medicine” which is the current standard of care, characterized by paternalism, the “medical priesthood” and “Doctor Knows Best.” This will change and desperately needs to change to a participatory partnership of the patient and physician. Dr. Larry Chu: I’m not sure that I can speak for other doctors, but I can tell you that I not only encourage my patients to self-track, but that I actually use those information streams every day to make decisions about each patient’s care. I treat patients with chronic pain. I have my assistants call my patients each day to get their pain scores, and ratings of medication side effects. I also ask my patients to keep daily diaries of their pain scores, side effects, and ratings of their ability to do activities of daily living. Working together, we use this information to tailor daily adjustments to their medications that I think not only improves their overall care but makes us better partners in a process that aims reduce pain while minimizing medication side-effects. Self-tracking brings me new data about each of my patients on a daily basis, which gives me new information and ideas on how to continually improve their care. QS: How can a patient more appropriately create a dialog about their self-tracking and health data with their health provider(s)? ET: By simply collecting the data and finding a receptive physician. Most doctors are data-driven and many would be enthusiastically supportive. LC: I think it starts with sharing data that helps doctors understand what they want to know. Your doctor might ask you, “How’s your back pain been since I saw you last?” That might be the perfect opportunity to share pain diaries (or even a visualization of pain scores over time) to help your physician understand trends in symptoms and how they are affected by medications and other factors such as activity and exercise. Data overload is a concern, so a focus on presenting concise data relevant to your physician’s interest might be a good way to start introducing self-tracking data into your physician visits. ET: 1 yr-the introduction of a large number of biosensors and “adds” that are smartphone centered and measure most physiologic metrics, or perform medical diagnostic tests like skin scan, refracting the eyes for glasses, and so many more; rapid sequencing for rare conditions, cancer at the time of initial diagnosis for genomically guided thearpy. QS: Do you think doctors are more receptive to the visual translation of data rather than the raw numbers that are commonly associated with health data? ET: Yes, without question, anything that makes it more reductionist, simple, and less time consumptive. LC: Absolutely. Physiologic processes have natural variability between patients and when tracked prospectively over time. Very rarely in my practice do I treat a “number”. I find that trends in data over time are the most useful in helping me understand physiologic processes in order to provide a diagnosis and therapeutic care plan for my patients. QS: I’ve been thinking about the doc-patient relationship a lot lately. It seems the walls of authority are crumbling as we speak and we’re moving from a “You do this” or “You listen to me” type of authoritative approach to medicine to more conversational. How do you see data and visualizations helping to start and possibly support those conversations. ET: There will be a Darwinian selection process for the “digital doctors” who have the plasticity to engage with patients in this way. LC: Paternalism in medicine will hopefully diminish as physicians see that patients not only prefer but demand to participate and engage in their own care and that this engagement leads to better partnerships that produce better health outcomes. Self-tracking data and visualizations can help support that process. One example is medication compliance in my area of pain management. The very term “compliance” is a bit paternalistic because it implies that patients are expected to “comply” with a physician’s “orders”. If Mrs. Jones has been “non-compliant” with her medications, the reason might be more complicated than a simple failure to follow directions. Self-tracking allows me to see what happened: nausea and itching were out-of-control and limited her ability to increase her dose, or she had several high-activity days that exacerbated her pain. Self-tracking data, especially real-time streams that are passively collected with high resolution and granularity, have the potential to disrupt the paternalistic view of the patient-physician relationship. To me, that’s very exciting. QS: Katie McCurdy mentions in her post that the reception from patients and caregivers has been really positive, how would do we help make it a positive and rewarding experience for the providers as well? ET: Her remarkably careful and detailed self-assessment of her myasthenia gravis condition is prototypic of how data can be displayed. Our big mission is to reduce the work involved in capturing and graphing the data, but instead to have this done seamlessly. No question that data are good for one’s health. It’s the kind of data we did not have access to before in treating patients. Sensors, apps, and add-ons to smartphones will help to streamline this process. LC: Make providers part of the process. Give us an opportunity to let you know what data we would love to see you track. Help us understand your concerns and how we can help you achieve your health goals. QS: What tips or advice would you give to someone who is taking their data to their doc for the first time? ET: Go for it! Don’t be shy. It’s your data, your body, your health. You are the most vested and important individual for the future of your health! LC: Start with a picture, something simple, that helps your doctor better understand your body in relation to the reason for your visit. Data overload is a concern. Start by turning the spigot on slowly. QS: How do you think self-tracking and data communication with physicians can support patient-initiated health experimentation? ET: It will be the N of 1 story to find the right drug for conditions like high blood pressure or diabetes (Type 2, non-immune) and many other conditions. Moreover it will be invaluable for prevention, for which we will have a marked enabling capacity once we integrate genomics, sensors, health IT, the digital infrastructure and N of 1 —what I call Homo digitus–data! LC: I think self-tracking can provide real-time physiologic and symptom data to physicians to aid them in interpreting the success of patient-initiated health experiments. I use self-tracking to study physician-initiated health experiments in my NIH-funded clinical research lab at Stanford. I don’t see a reason why the tables can’t be turned. SF: True or false: There have always been patients like Katie, who try to figure out what’s going on with their health. It’s just now that they have tools to polish up and express their observations in engaging ways. It’s just now that clinicians are ready to listen to and even welcome such patients. ET: True for many conditions. LC: True. We have been self-tracking even before there was the term. I got to mark my height on my door frame every birthday growing up: I was a self-tracker at age five! There is a temptation to focus on technologies and tools in self-tracking, but they are not a necessity for the process. A pen and paper will suffice. What I see today is an explosion of consumer-facing devices, some of which passively collect high-resolution and finely granular datasets. This may add to the data streams we can collect, but analysis and synthesis of the data into meaningful conclusions is a growing challenge. SF: If you are observing a shift, in yourself or in your colleagues, why do you think that is? ET: I have shifted my practice, but unfortunately I have not seen a significant shift in many others yet. That’s why I wrote the book—to educate, activate consumers to catalyze “new medicine” They need to drive this—it is their medical information, their DNA, their tissue, their smartphone, and their social networks. Never before were we so well positioned for a consumer health care revolution as now. A veritable Kairos. LC: I think mobile computing and wireless mobile devices have exposed physicians to many of the same consumer-facing self-tracking applications that their patients use. As patients ourselves, many physicians see the potential for self-tracking to impact our own health and lives. Having read through these answers again and again I can safely say there are some major themes that are starting to creep up. Partnerships, excitement, mHealth – each of these concepts were mentioned on more than one occasion by these two amazing members of the medical establishment. Hopefully their insights will help give you the small push to begin speaking to your medical provider about your health data. The data you collect. The data that represents you. Again, this is part two in a three-part series on the data centric conversation we engage in with the medical community. Look for our next part with insights from Susannah Fox next Thursday. If you have questions of comments feel free to discuss on Facebook, Twitter, and here in our comments.